This book questions the junctions of the private and the public when it comes to trauma, loss, and the work of mourning - notions which, it is argued, challenge our very ideas of the individual and the shared. It asks, to paraphrase Adorno, 'What do we mean by "working through the past"?, 'How is a shared work of mourning to be understood? ', and 'With what legitimacy do we consider a particular social or cultural practice to be "mourning"?' 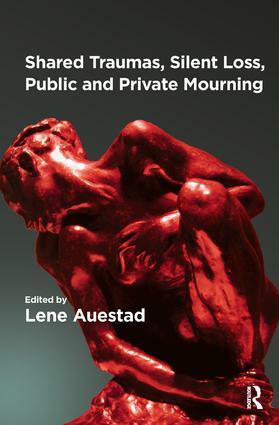 Rather than aiming to present a diagnosis of the political present, this volume instead takes one step back to pose the question of what mourning might mean and what its social dimension consists in. Contributors reflect on the trauma of the Holocaust, the after-effects of the Vietnam War in the US, the Lebanese war-torn experience, victims of the Pacific War in Taiwan, and the Chilean dictatorship.